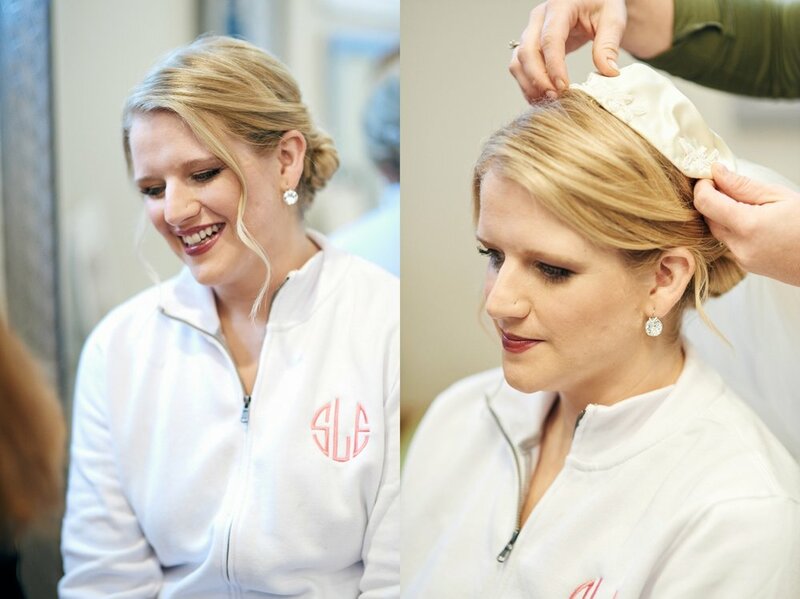 I started the day in the bridal suite at the Nonantum Resort with Sarah and her bridesmaids as they got ready before I popped in to visit Thomas and his groomsmen in a room at the resort. Then, I hopped back over to Sarah and the girls to get some bride and bridesmaids pictures by the water, which I loved. I think it’s such a good idea for a bride to get some pictures that highlight her experience being surrounded by the people she loves! Plus, this time gave me a chance to get pictures of Sarah’s antique veil—handed down from her mother—and the fur shawls that the bridesmaids all wore to guard against the cool autumn temperatures. It’s so important to plan for the weather, after all! Just as the sun was going down, we went off to the ceremony, which was perfectly and romantically lit. 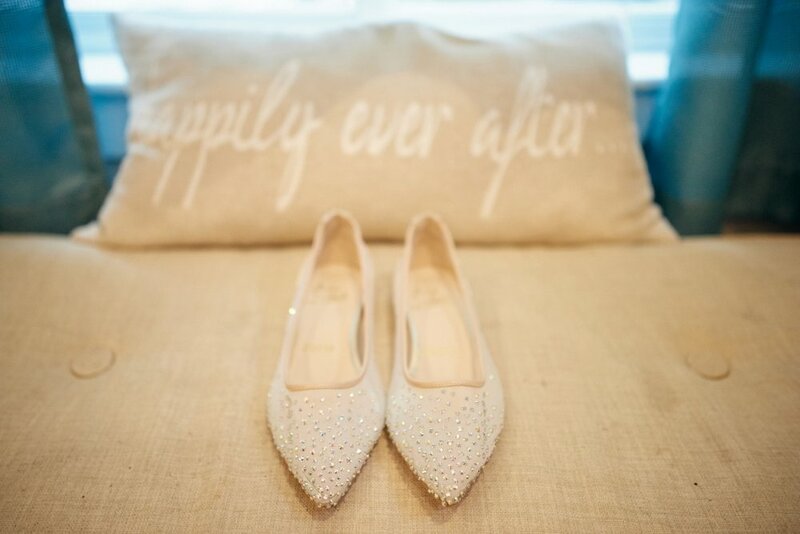 Timing really does mean so much when it comes to your wedding photography! 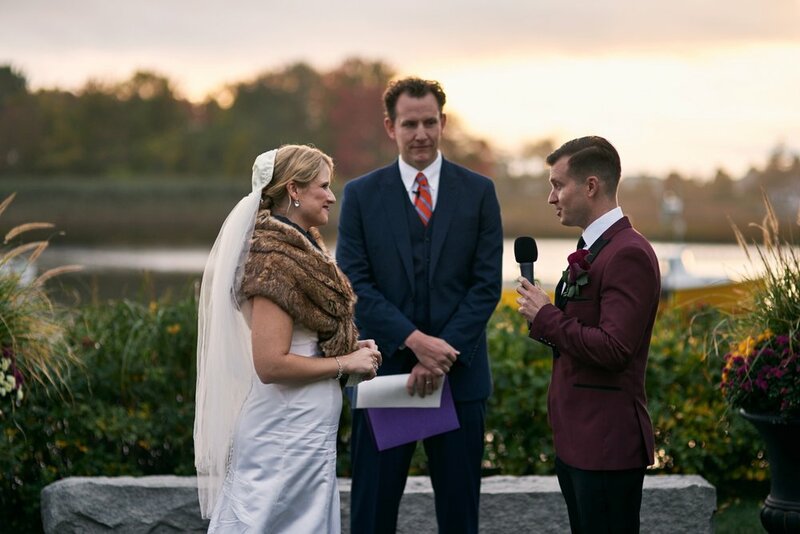 And with the beautiful fall foliage lining the shoreline, these two couldn’t have asked for a more beautiful setting. These two read their personalized vows to each other in the gorgeous light of the sunset, creating a glow in the sky and the clouds. I always tell my couples that the hour before sunset is best for that glowing effect in the fall, winter, and spring. The sun is lower during these times of the year, but during the summer, it sets too fast! Again, keep an eye on timing when you’re looking ahead to your wedding photography. The other thing I loved about their ceremony was how their family and friends were involved—and the little ones stole the show! Their close friend was the officiant, and Thomas asked his son to be one of the groomsmen. But by far one of the best moments was when Thomas and Sarah had their dog walk with the ring bearer and flower girl (Thomas’ niece and nephew) down the aisle. The guests all loved the adorable scene! After the ceremony, we took some more formal photos before I spirited Sarah and Thomas away to the rock beach at Nonentum Resort for some pictures of the two of them together. It was great to get them alone and give them some time to be just the two of them before we hit the reception running. 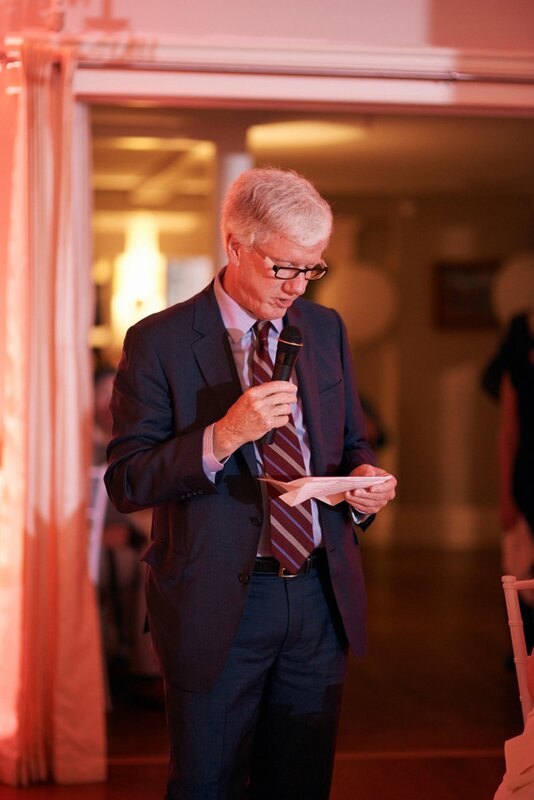 After a first dance and speeches by the best man, maid of honor, and Sarah’s father, Sarah and Thomas opted to do something a little different with their cake. Instead of getting the usual cake-cutting pictures, they opted for a picture in front of it. I love when my couples mix things up; it adds a little spice to the day! One of the best moments of the day was when Thomas pretended to be the DJ. 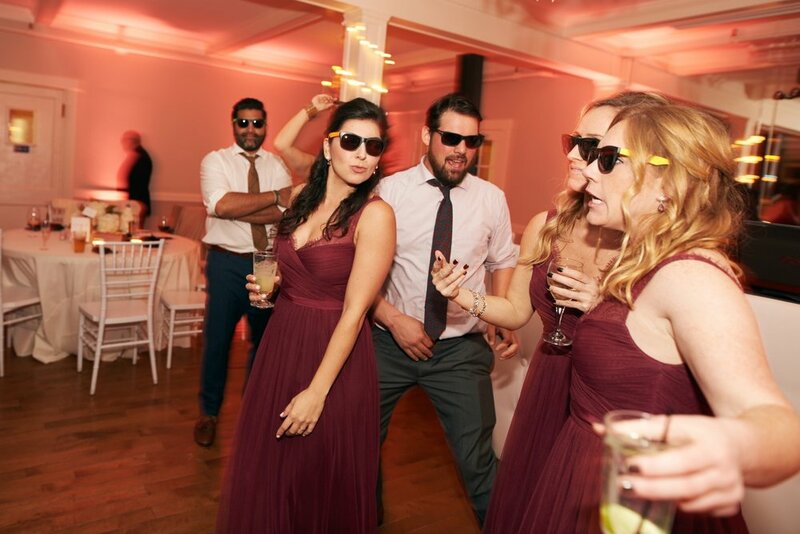 You always want to have fun at your reception, and that’s definitely what Thomas did. He was hilarious! Sarah & Thomas, thank you for allowing me to be part of your most special day. I loved photographing all the amazing and beautiful moments throughout your wedding.